US-based personnel protection specialist Scott Safety is delighted to announce the launch of the Air-Pak X3 PRO, the latest unit in the company’s cutting-edge line of SCBA systems. With a commitment to firefighter safety and a focus on the long-term effects of carcinogen exposure, Scott Safety engineered a product that enhances cleanability, comfort and connectivity, while providing compatibility with the upcoming NFPA 2018 standards. With minimal water absorption, the new harness assembly can be machine laundered to minimise contamination and reduce long-term carcinogen exposure. Because the gear can be laundered at the station, firefighters have fast and easy access to their equipment when they respond to the next call. Scott Safety global business unit leader for SCBA and fire solutions Jeff Emery said: “As an industry leader, our role at Scott Safety is not only to provide the best equipment to protect first responders, but to do our part to protect their long-term health. Scott Safety designed the Air-Pak X3 Pro to keep firefighters safe, while providing a higher level of comfort. A new shoulder harness design improves the ease of donning the SCBA and minimises pressure points to reduce user fatigue. A naturally articulating waist pad provides the user a greater range of motion, while transferring weight to the hips for a more balanced load. Superior breathability offers minimal breathing resistance to reduce user burden and improve operational efficiencies. Offering enhanced electronics with Bluetooth® technology, the Air-Pak X3 Pro supports wireless connectivity for improved firefighter safety and fireground accountability. An electronic PAR feature allows incident command to reliably communicate with firefighters without creating additional radio traffic. Data downloading and configuration changes are made easier using a wireless connection to smartphones. Scott Safety senior manager of NFPA air-supply products Jason Cannon added: “Scott Safety is committed to product development that makes the firefighter’s job easier and safer. This commitment to cancer prevention also is reflected in the company’s planned cancer awareness and prevention initiative for 2018. Scott Safety has pledged to make $100,000 in charitable gifts to non-profit organisations that share Scott’s mission for cancer prevention and work to protect the long-term health of firefighters. The program will launch on 1 January. 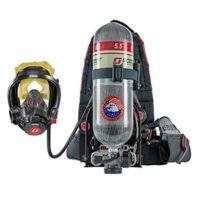 To see the new Air-Pak X3 Pro SCBA, visit Scott Safety at Firehouse Expo at booth 739. For information regarding Scott Safety’s latest innovations, please contact the company via the enquiries form.